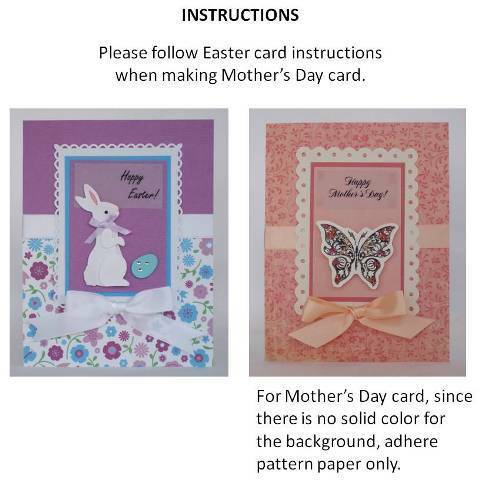 Make handmade Mothers Day cards that will be cherished. 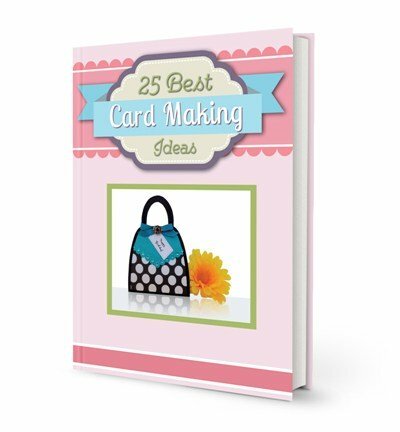 You'll find lots of pretty handmade card ideas to help you with your homemade cards. 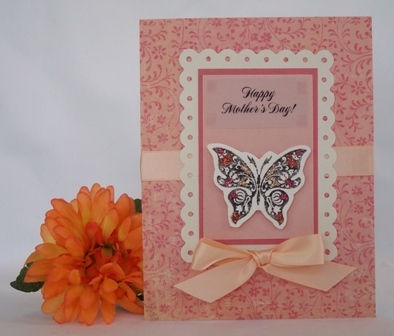 I found a beautiful butterfly stamp to use for this Mother's Day card and will use it for more homemade card ideas. I stamped it on cream paper to match the scallop border, carefully cut it out and then added different colored glitter on the wings. I adhered foam tape on the back to give it dimension. 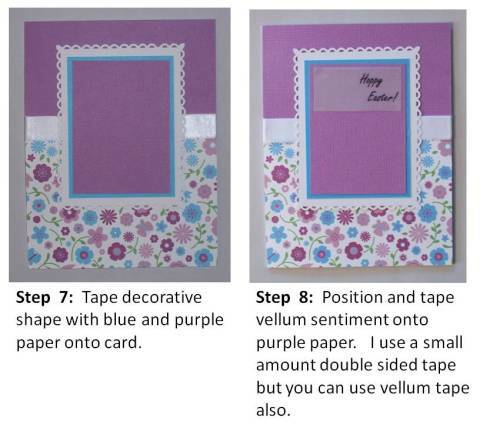 For this handmade card making project, I used a scallop border punch to create the cream frame around the sentiment but you can also use border scissors to create Mothers Day cards. 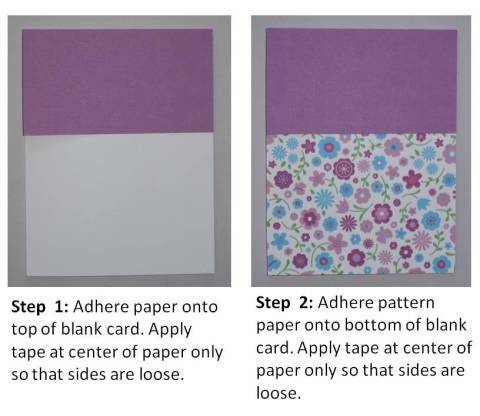 You can make a Mothers Day card using your laser printer to type the sentiment. 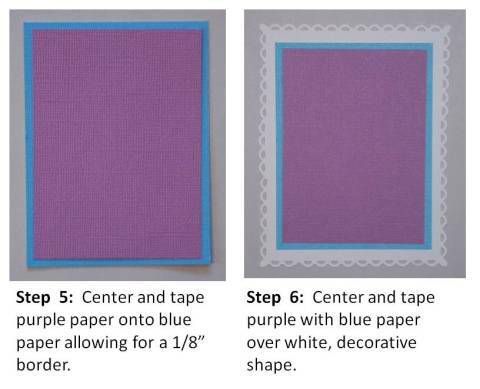 I printed mine on vellum paper and used a little bit of double sided tape on the corners but you can also use vellum tape. 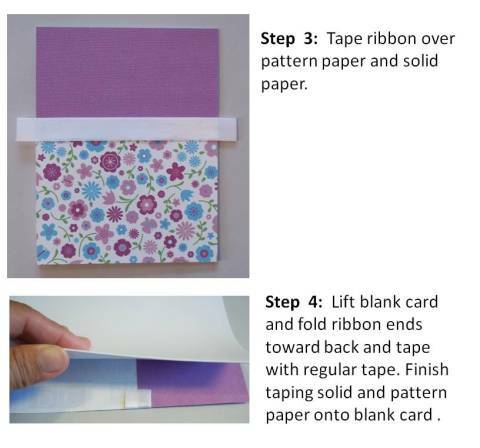 Homemade greeting card ideas to make a Mothers Day card wouldn't be complete without ribbon. I added a peach satin ribbon to match the colors on the print. 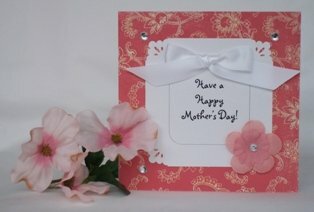 Here is another Mothers Day card you can create. 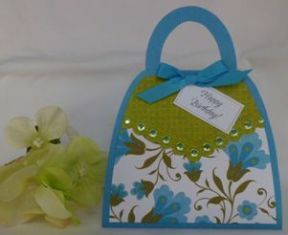 As with the card above, I used a floral print to make this handmade card. 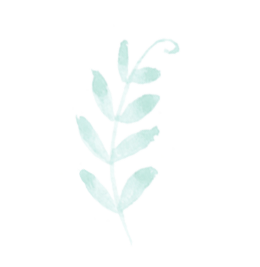 The tool I used was a decorative punch to cut out the corners of the sentiment. 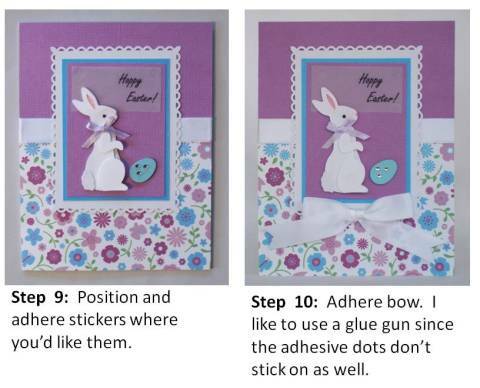 This is a pretty simple card to make. 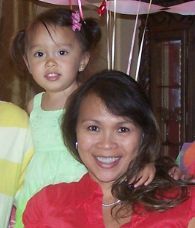 If you don't have a laser printer to create the sentiment, then use a stamp or adhesive letters.